A craft business in Bradford is celebrating after securing a deal worth tens of thousands of pounds to produce an instrument for folk musicians around the world. The Renaissance Workshop Company - one of a few in the world that specialise in manufacturing early musical instruments has been asked to develop a traditional English concertina for Hobgoblin, an international chain of folk music stores. The deal will be a major coup for the Manningham Lane business which was founded just four years ago and has only five full-time staff. Sales of the instrument are expected to generate over £50,000 a year. Founder of Renaissance Workshop, Jonathan Askey said the deal had obviously delighted him, but admitted that because of the complexity of the design, development of the concertina would not have been possible without the help of a Government grant. The Business Link - part of the Department for Trade and Industry's Small Business Service - helped the company to secure a £8,800 SMART award, which was given to support the instrument's development. "One of Business Link's specialist advisers on SMART awards wrote the project proposal and gave us help completing the application form which made sure that we secured the funding. Without this support we wouldn't have had time to go through the process because of all the day-to-day pressures," Mr Askey said. "Product development is now under way and the concertina should be available in kit form in about six months." Mr Askey received even better news when it was announced the company would also be getting a Yorkshire Forward Innova-tion Award worth £10,000 to further help with the concertina development. 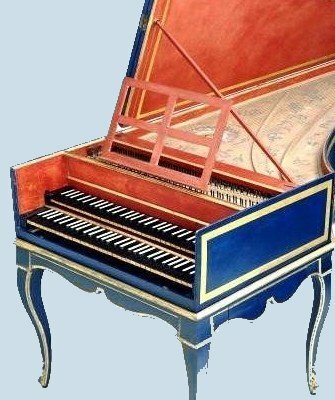 Workshop staff design and manufacture reproductions of renaissance and baroque musical instruments - supplying to connoisseurs as far as America and Japan. The business has also had its fair share of celebrity customers. Pete Townshend, guitarist of rock band The Who, once sent his hurdy-gurdy to Renaissance to be fixed, and Mike Oldfield requested some instruments for the making of Tubular Bells II.